Lake Oswegans love their trees. And with good reason, some of which we may not even realize. The city of Lake Oswego estimates that every street tree in Lake Oswego yields $2.63 in energy savings (gas and electric combined) per year due to cooling effects in the summer and wind-protection effects in the winter. Trees also add to our property values, with estimates between 3 and 10 percent. This is true not only for ones standing on our property but also in our neighborhoods. Some studies even suggest that the more trees a neighborhood has, the less crime it will see. What’s the connection? One explanation is that landscaped yards encourage neighbors to be out and about, thereby increasing the informal surveillance. So it’s no wonder that here in Oregon we don’t just honor trees with one day like the rest of the nation. We dedicate an entire week, April 7-13. 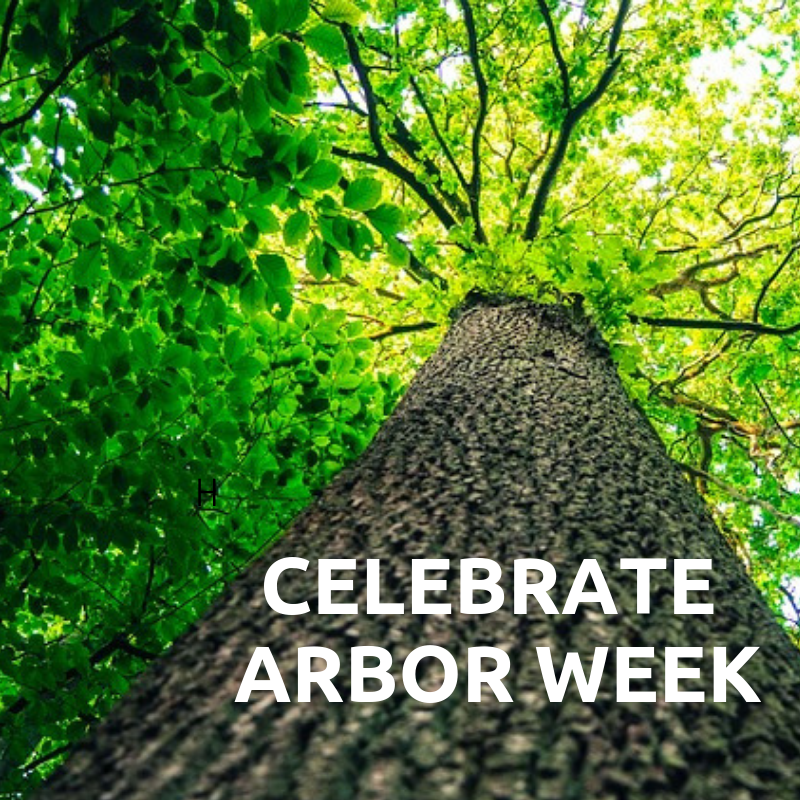 And this year Lake Oswego is also celebrating its benchmark 30th year as a Tree City USA (TCUSA), a certification provided by the National Arbor Day Foundation to recognize cities for demonstrating a strong commitment to managing and caring for trees. Over the last 30 years, Lake Oswego has met the four TCUSA standards by maintaining a tree board (the Parks, Recreation and Natural Resources Advisory Board), a tree ordinance, a minimum $2 per capita expenditure for tree planting and maintenance, and an annual celebration and proclamation of Arbor Day. Here are some of the activities scheduled that you can participate in. Sunday, April 7, 1-3 p.m., Parking: Gravel trail head is off Brookside Rd./Twin Fir Rd., Lake Oswego. Trail head is behind the Oswego Hunt Club. Kick-off Arbor Week by helping Friends of Iron Mt. Park as they remove invasive species that crowd out the native plants. The native plants thank you for clearing the forest of invasive species that compete for the sun and soil. Allow extra time to wander the paths that wind through 50 acres of forest to the eagle’s eye viewing platform. Contact: Mike Buck, 503-914-8607 or m.bucks@comcast.net. Parents, stroll the farm with your preschooler and enjoy sensory garden-based activities. Hear a story about trees, then take a look at the city’s Heritage Trees. Parents must accompany children. Class is held rain or shine! Free drop-in program for ages 0-5. Using a variety of techniques, participants will pay homage to the humble tree. Make life-like cherry blossoms with twigs and tissue paper, shadow paintings of trees using tape and paints, or outline your arm to form a trunk that supports all manner of leaves. Drop-in event recommended for kids age 5 and up. Friday, April 12, 10:30-11:30 a.m., Parking: Uplands Grade School, 2055 Wembley Park Rd., Lake Oswego. Park entrance is behind the playground. Bring your preschoolers to learn how trees help us, birds, animals and even plants. Friends of Springbrook Park will lead participants on a walk in the woods to discover trees that help others. Find a special tree to thank with a great big hug! Exploration buckets are provided. Be prepared to explore rain or shine. Contact: Laura Tanz, 503-702-7937 or blmjt2205@gmail.com. Saturday, April 13, 9-11 a.m., Parking: Near the intersection of Atwater Rd. and Knaus Rd., Lake Oswego. Woodmont Park is down a graveled trail. Join Friends of Woodmont Park to remove invasive species that threaten the native plants. This habitat restoration helps ensure that the native plants thrive. Native plants provide shelter and food for local birds, animals and pollinators as well as stabilize the soil. Mother Earth says Thank You! Contact: Heidi Schrimsher, 503-754-6640 or heidigarden@msn.com. Bring your friends and neighbors to visit an extraordinary tree seedling to be planted at Foothills Park and celebrate Arbor Week and National Poetry Month. The tree was grown from a seed that survived the atomic bombing of Hiroshima in 1945 and was brought to Lake Oswego by the One Sunny Day Initiatives Program through the Green Legacy Hiroshima Project. We will unveil a commemorative plaque, hear from guest speakers including representatives from the Veterans Memorial Project and Oregon Poet Laureate Kim Stafford, present the City’s 30 Year Tree City USA Award and enjoy refreshments. Learn more by visiting glh.unitar.org and www.osdinitiatives.com. ARBOR DAY ART CONTEST: ALL ABOUT DOUGLAS FIRS! Bring In celebration of 30 years of Tree City USA status, Arbor Week and National Arbor Day, the City of Lake Oswego is hosting an art contest for K-8th grade Lake Oswego students. This year’s theme is all about Douglas-fir, Oregon’s state tree and an iconic symbol of Lake Oswego. Contestants are invited to create a work of art featuring Douglas-fir in any way imaginable—from needles and cones to individual trees and groves, as tiny seedlings or majestic giants, providing food and cover for animals, and so much more. Draw, color, paint or create a collage representing this splendid species. Not to exceed 15” x 15” in size and must be able to tape on a wall for display. Drop-off your entry on or before National Arbor Day, Friday, April 26th, at either: the Lake Oswego Public Golf Course, 17525 SW Stafford Road; or the Lake Oswego Public Library, 706 4th Street. Telephone number, e-mail address, and the name of your Lake Oswego school on the back-side of your art. Entries will be on display at the Lake Oswego Public Golf Course at 17525 SW Stafford Road through early May. Art will be judged on creativity and overall design based on the theme. First, second and third prize winners will be selected in each of three divisions: K-2nd grade, 3rd-5th grade, and 6th-8th grade. The judges’ decision is final. Winners will be notified by phone on or before May 10th and prize packs will be awarded at the Lake Oswego Farmers’ Market on May 18th. Contestants are encouraged to learn more about Douglas-fir trees by searching the internet, visiting the local library, talking with gardeners and exploring nature. Consider touring the City’s Heritage Trees, which include six individual Douglas-firs and two groves of Douglas-firs. Have fun! Celebrate forestry at the Farmers’ Market on opening day! Activities include Urban & Community Forestry booths and activities for children and adults. Spin the prize wheel, do a craft, watch a tree pruning demonstration, receive a free tree seedling, and learn about stewardship opportunities in your neighborhood. Arbor Day Art Contest winners will be announced and prizes will be awarded. Tree Pruning – Saturday, April 20, 10 a.m. to 12 p.m., Foothills Park Pavilion, 199 Foothills Road. Understand why, what, and how to prune to develop healthy, strong, and attractive trees and shrubs. Explore pruning types, proper cutting tools and techniques, and tree responses to pruning. Bring pruning tools, if you have them, and wear appropriate clothing for working outside in this hands-on workshop led by ISA Board Certified Master Arborist Damon Schrosk of Treecology, Inc. Refreshments will be provided. Native and Invasive Tree Identification Walking Tour – Saturday, August 3, 10 – 11:30 a.m., meet at Forest Hills Elementary School, 1133 Andrews Road. Identify and discuss common native and invasive tree species with ISA Board Certified Master Arborist Todd Prager of Teragan & Associates on a neighborhood walking tour. Todd will explain common terms, concepts, and techniques used in tree identification, and help you become familiar with how to identify a tree by looking at leaves, fruit, bark, twigs, and form. Please wear sturdy shoes and bring your own water. Visit www.ci.oswego.or.us/planning to learn more and look for workshop dates to be announced in monthly Hello LO newsletters. Trees are just one thing that add property value to your home. Want to know what else before you embark on a remodeling project? Give me a call and we can discuss. I’ll let you know what types of home improvements will translate into returns on your investments when it comes time to sell. 503.939.9801 and check out my website. This entry was posted in Things to Do in Lake Oswego and tagged Arbor Week, Lake Oswego Oregon, National Arbor Day. Bookmark the permalink.